We've been hearing rumors that Kreinik is discontinuing the metallic thread color 5760 Marshmallow. It's not true! Trust us, we're Kreinik. This gorgeous color isn't going anywhere. In fact, it's being used all over the world right now, as it's perfect in Christmas and winter-themed designs. We are making more at this very moment. If you don't have it in your stitching stash, get some! It's a brighter white than our standard 032 Pearl, with the most subtle metallic sheen. Plus the material is soft to stitch with and lays beautifully in stitches. It comes in Kreinik Braid and Ribbon sizes. When you hear rumors about discontinued colors, please contact us first! Email info@kreinik.com or call 1-800-537-2166. 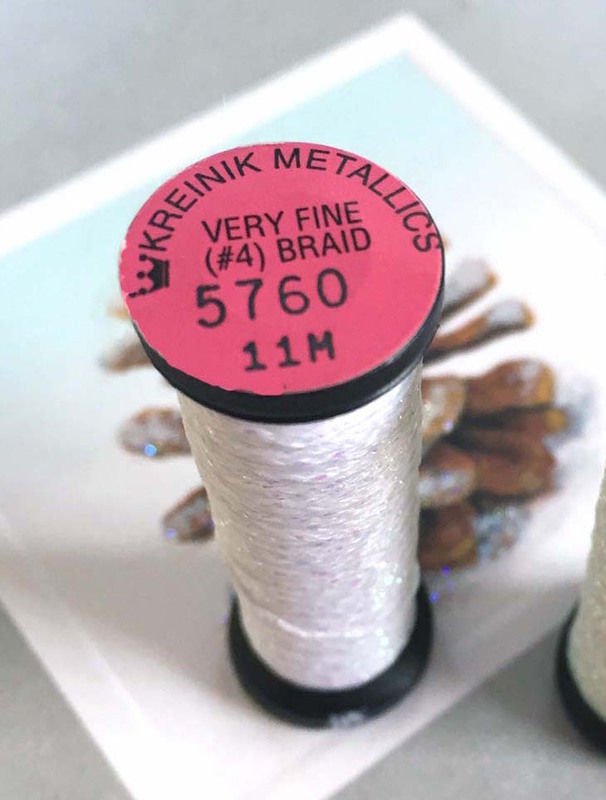 News direct from thread maker Kreinik Mfg. Co., Inc., located in Parkersburg, West Virginia. Visit our factory outlet store when you are in the area; call for hours 1-800-537-2166.